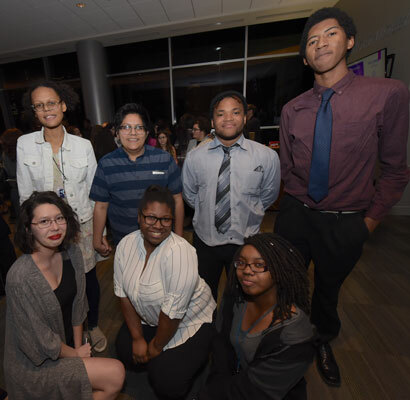 AUSTIN - More than 100 choir and theater students from three Killeen ISD high schools played the role of special guests during the dress rehearsal of a powerful opera depicting the emotional tensions of armed combat. 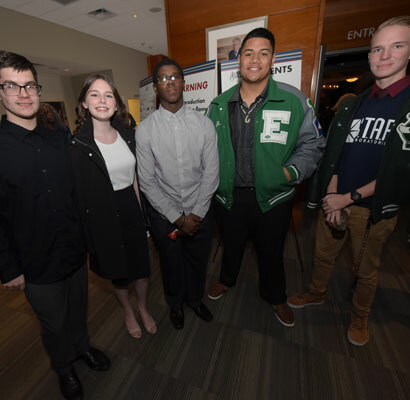 Choir and theater directors at Ellison and Shoemaker high schools and the Killeen High School International Baccalaureate coordinator accepted the invitation to the Austin Lyric Opera company’s production of Silent Night. They joined guests of the cast and crew for a full dress rehearsal of the production and experienced a powerfully moving wartime story and professional-level acting, singing and special effects. It all took place at the Long Center for Performing Arts, a sprawling arts complex along the shores of Town Lake overlooking the downtown Austin skyline. The emotionally-charged story, set in World War I, was told in three languages from the perspective of Scottish, French and German soldiers, as well as family members experiencing the global conflict back home. Longtime Killeen ISD educator Melinda Wright was the catalyst for the evening of artistic enrichment. She was teaching second grade 30 years ago when she decided to expose her students to styles of music most of them never heard. That led her to the Austin Lyric Opera, which provided docent visits to schools. Many years later, Wright, now in an administrative role in KISD special education, continues to act as a bridge to give students in Killeen a chance to experience the opera. This year, with the military-themed Silent Night on the schedule, the opera company offered Killeen ISD a larger-than-usual number of tickets and paid transportation costs for students and teachers to attend the dress rehearsal at the Long Center. The company invited about 1,200 students from a wide Central Texas region and organizers expected 80 percent or so to attend. The rehearsal served as preview for three performances of Silent Night at the 2,200-seat auditorium. 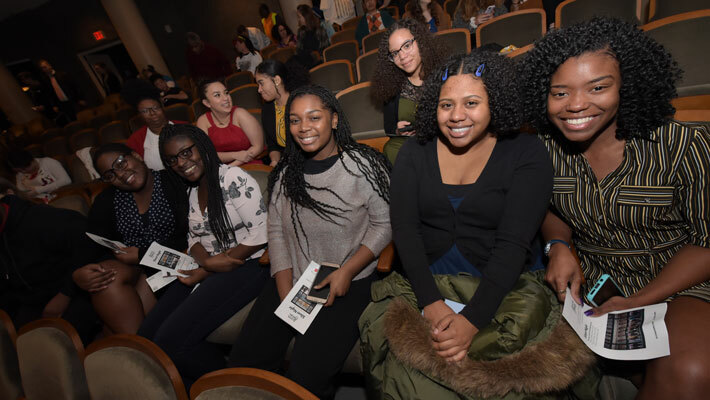 Teachers at the event were thrilled their students were taking in a professional-caliber performance at a first-rate venue, but even more that they were glimpsing another world just an hour’s bus ride away. “I hope they are seeing real-life performers doing their craft,” said Shoemaker Choir Director Stephen Barrick during the intermission of the dress rehearsal. “They could grow up and do this,” said the director, who actually performed with the Austin opera as a University of Texas student. “I think they are also realizing there is more out there than Killeen,” he said as the bright city lights pierced the glazed windows in the glittering lobby. Pointing out one of her students, the choir director said, “she told me she’s having the time of her life,” Triggs said. For Wright, the reward of taking students to the opera comes from seeing and hearing reactions during the performances. Though most operas are not in English and require subtitles, the inexperienced audience members find themselves drawn into the beauty of the story as actors bring it to life.